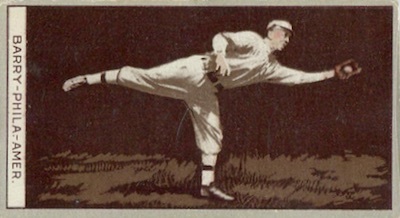 Contrary to earlier sets that were marked by striking color combinations, the American Tobacco Company went with a design centered around a brown background in 1912 T207 Baseball. While the gloomy color scheme and notable missing names in the checklist hold the set back from more mainstream appreciation, T207 Brown Background has built a devoted collecting group. For a product that came along with a package of cigarettes, perhaps the smoky motif was appropriate and the brown is synonymous with T207. 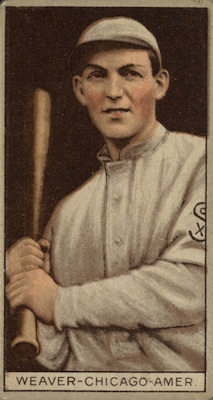 Players are shown on the card fronts in sepia and white drawings with a solid brown background. 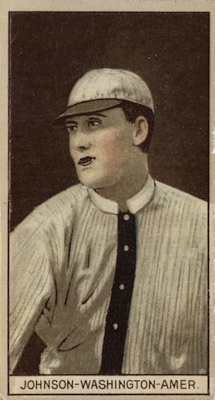 A white strip below the photo contains the player's last name and team city. While the majoirty are vertically oriented, there is a single horizontal card (Jack Barry). 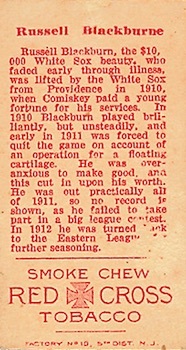 On the back, a biographical write-up about the player appears below the name. The sizing is fairly standard for tobacco releases, coming in at 1-1/2" by 2-5/8". Like most cards from this era, an advertisement for a cigarette brand runs along the bottom. With T207 cards, the main brands are Recruit, Broadleaf, Cycle and Napoleon. However, the rarest option is the elusive Red Cross backs. There are also anonymous backs that may have been used for other brands. Backs are further broken down by factory designation, bringing the total to eight overall card back variations. Because players are only available with two of the four main advertiser backs, the set can conveniently be divided into two groups. Among the most common options, Recruit and Napoleon backs cover 150 of the players in the checklist. The remaining 50 cards are found with either Broadleaf or Cycle backs and the only known place to find the Red Cross backs. Although the Anonymous Factory 25 backs are also available among the 50-card group, Anonymous Factory 3 backs are found with players in both groups. 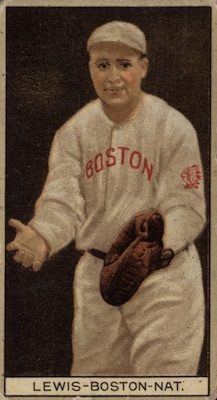 Despite having Hall of Fame options like Walter Johnson and Tris Speaker among its 200-card base set, the product suffers a little because other big-name stars, such as Joe Jackson, Eddie Collins, Honus Wagner, Ty Cobb and Christy Mathewson, are missing. Several cards in the set have varying degrees of scarcity and can make set completion a very tall task. Irving Lewis, Louis Lowdermilk and Ward Miller are the toughest, while Ralph Works, Victor Saier, Arthur Rasmussen and Morris Rath are also quite rare. 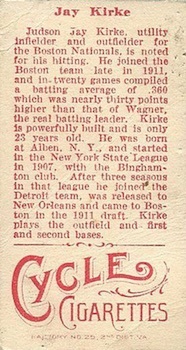 Although those names aren't going to excite many collectors, they make piecing together a 1912 T207 Baseball set a real challenge. 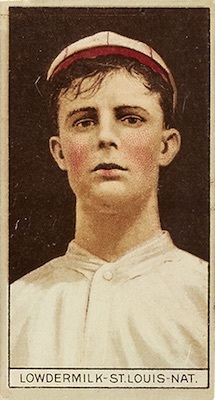 Several front variations present more cards for the T207 Baseball master set. Among the options available, James Austin (with or without insignia), Ray Fisher (blue or white cap) and George Mullin (with or without "D" on cap) see no real difference in value. 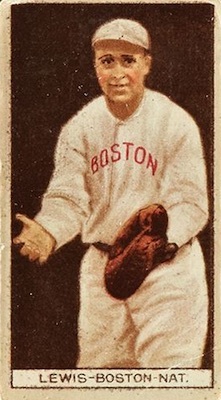 Irving Lewis, already among the most limited cards in the set, has two different versions that center around the emblem on his sleeve. The card without an emblem commands a premium. Lastly, Paddy Livingston is featured with three slightly altered images, each with a different letter on his jersey. The smallest "C" image is the most common and the "A" is the most valuable. 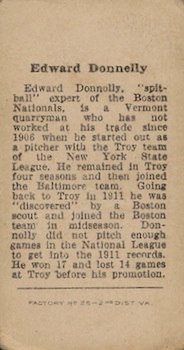 Ultimately, the thrill of the hunt is the biggest draw for 1912 T207 Baseball. It offers a chase largely without the price fluctuations found in other mainstream T-series sets. However, it is certainly not an easy set to put together and less common than T205 or T206. Unlike its popular predecessors, collectors either seem to love or hate T207. Issued by American Tobacco Company, that same organization that issued the T205 and T206 sets, 1912 T207 marked the final tobacco set released by American Tobacco before the Sherman Anti-Trust Act forced the popular cigarette company to dissolve. 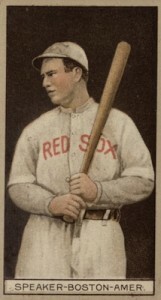 1912 T207 George Tyler SGC 10 Anonymous Back Boston NL. 1912 T207 Brown Background Clyde Milan SGC 50 4 Washington Amer. 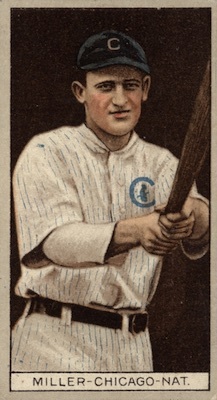 T207-1912 RECRUIT WALTER JOHNSON-SGC-"AUTHENTIC"-LOOKS-(NM),NO FLAWS,CHK PICS! Paddy Livingston - little "C"
1912 T207 Recruit John Warhop PSA 4 New York Amer. 1912 T207 Recruit Ed (Dixie) Walker PSA 5 Washington Amer. 1912 T207 Recruit Buck O'Brien PSA 4 Boston Amer. 1912 T207 BROWN BACKGROUND OTTO MILLER PSA 1.5! !